Pro tip: stay far, far away from the procrastinator when it's time for group assignments. Don't ever do group projects with them. You'll be like "we same course meh?" when they suddenly muncul at the convo. They'll always sit in the optimal spot to get the lecturer's attention. They may not be very vocal during class but they'll probably cry if they don't get the highest marks possible. Time doesn't matter to this one. Whether it's a 9am or 3pm lecture, they'll still be fast asleep in their seat. They'll be all dressed up in branded stuff and will roll up to campus in expensive cars. Seeing them outside of the library is a super rare occurrence that probably only happens once a semester. But even then, they'll probably be carrying a mountain of books. Dance club, debate society, football team, they're in it all and yet somehow manage to make sure all their assignments are done on time too. These guys are the true pros man. There's always one in every uni. Rumours about how good looking they are will spread from day 1 and you'll be praying that you're lucky enough to be in the same class as them. If not, you'll cherish every random glimpse you get of them on campus. From where to get free food to all the places you can use your student discount, they'll have all the info. Pen la, your notes la, money la, everything also wanna borrow. But you should draw the line when they ask to pinjam your assignment "for reference je" k? They dowan to come to class, but dowan to mess up their attendance record either. So it all comes down to you to put a cincai scribble that hopefully passes as their signature next to their name on the attendance sheet. From the front, it looks like they're being super studious but you'll know the reality if you're sitting behind them. They're usually watching YouTube or Netflix on mute with the subtitles on. As one of the top private universities in Malaysia, MMU would like to welcome you to the zone of the changemakers of tomorrow. At their premier campuses, you'll be able to elevate your passion to the next level with the best in-class courses, technologically advanced teaching approaches, highly qualified staff, and continuous support for the nation's ICT industry. Worried about your uni life ahead or still unsure which course to take? 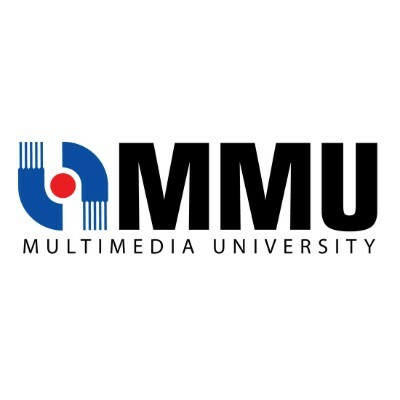 Drop by MMU's upcoming open day to have all your questions answers! Now's your chance to find out everything you want to know about what uni life is going to be like, and even what you can expect after graduation. MMU's qualified teachers and enthusiastic students will be on hand to tell you everything there is to know about MMU. You'll be able to go on a campus tour, get future career guidance, and even find out more about scholarships and financial advice. Take note of the deets below and don't miss out! Interested in finding out more about MMU's open day? Click here. [VIDEO] Can You Guess What People Study In Uni Based On What They Look Like? Have you judged a book by its cover? Some things never really change after all.